Need a program or data collection using excel or microsoft programs to be used to assist in grading students with disabilites. 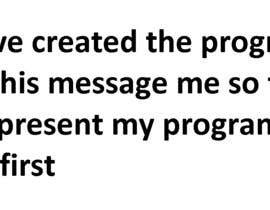 It needs to be in excel or microsoft office since it is the basic program we use in our school district. Currently I am using a Microsoft setup but I have to calculate grades manually and I need the program to do it for me 1. I need it to fit 15 students the max. 2. Need all six six weeks to be in one file as each student will have their own gradebook. In total their will be six six weeks and they close each six weeks so a new six weeks must be ready to be graded each six weeks semester .Objectives change halfway through the year so they have to be greaded as a new set of skills 3. each student has a max of 26 objectives that will be manually typed in by teachers from their individualized plans. 4. 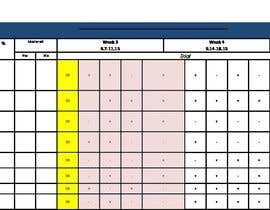 Formatted where the calendar from the dates can be inputed and will automatically put the days students will not be absent or was a staff development. 5. Automatically grade by week and then as a whole by each six weeks as informatin can remain current. 6. Some skills are graded by + or - so it must be able to grade using that system as well as number grades. 7. A graph where teacher can turn in a graph to parent to see student progress by month on the skills noted in particular after november thankgiving, january after chirstmas holidays and spring break are the three moths wee need to see if student regressed. 8. Need it to be printer friendly. I have attached a calander of our District, A data sheet I currently use which is tidious becuase I have to make one every six weeks and is not all in one file fore each student. If a studen is absent or their is a staff develompent or holidays that day would not be counted for grading purposes. Yes Microsfot acess will work. Microsoft office is a common program in our school. Project can be done in excel or microsoft program that it currently is in use for me. Whatever is teacher friendly and our district already has in place. Microsoft office is what I use and it's pretty good since I can print easily and most of our school computers have in place. SD means staff development fot teachers. When we have staff development students don't go. I use these to know what days students were absent due to personal illness or SD it was due to a School District event or School Meetings for teachers. Point number 2. In one of the files I attached it is for a student and it is for one six weeks. I have to copy and make another file for another six weeks, a total of six. I need to be able to open a file and have all 6-six weeks for that student. I will input the grades and student info for them eg.. date of his ard, his objectives, date of birth, grade level on the header. I need to be able to print the six week page for submission to parent or to administration. It is tedious inputting this information for 6 six weeks for each student. Want to input the information just once. What I usually use a blank one input all the school days copy for my 15 students and just input the personal information individually for each student. can you please elaborate point number 2. Hello, Please confirm what does "SD" means as given in the excel file?